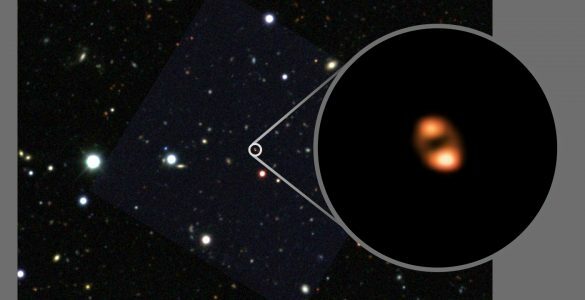 Credit: Pearce et al. 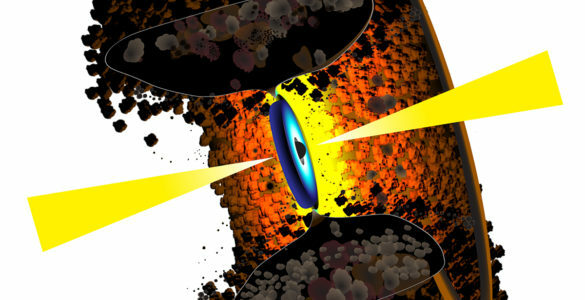 ; Bill Saxton, NRAO/AUI/NSF; Chandra, Subaru; ESO. CREDIT: Pearce et al. 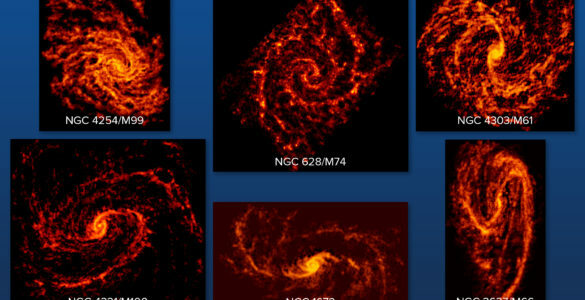 ; Bill Saxton, NRAO/AUI/NSF; Chandra; Subaru; ESO. 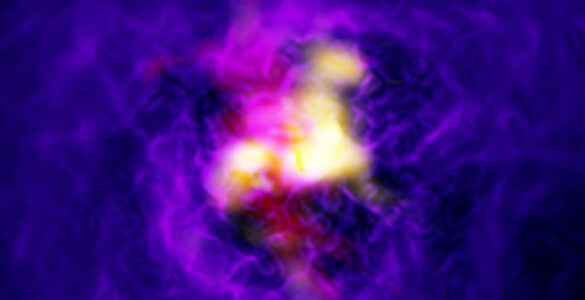 Composite image of Abell 2744 region, with radio, X-Ray, and optical (visible light) data combined. 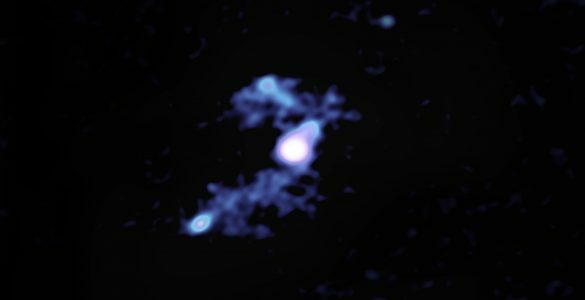 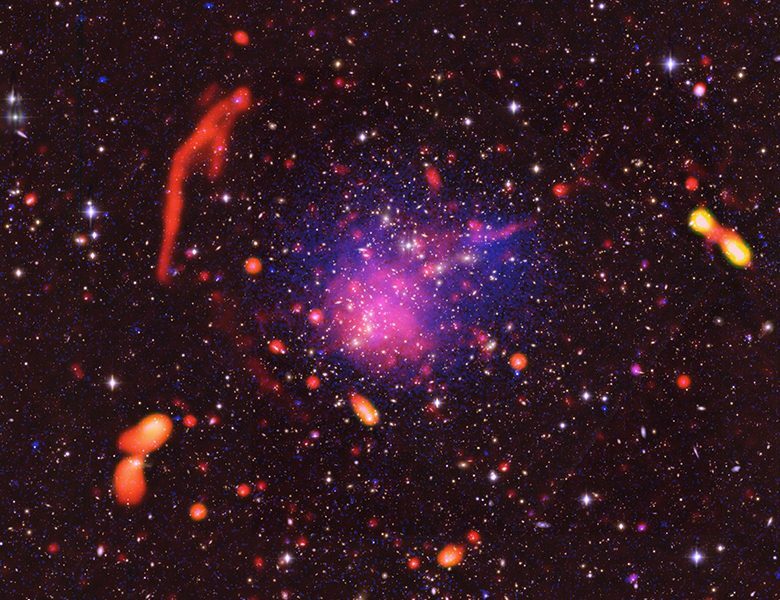 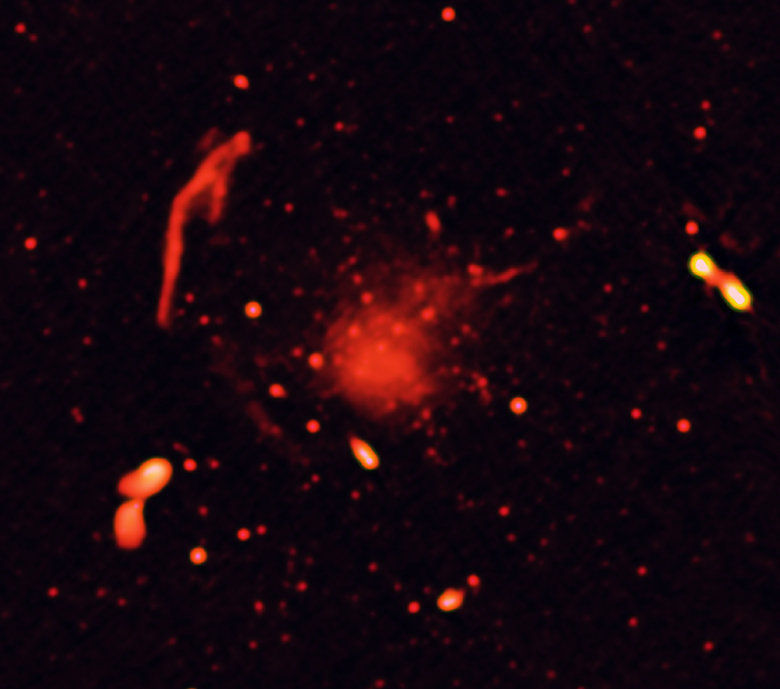 Radio-only image of Abell 2744 region, showing radio-emitting features caused by subatomic particles accelerated to high speeds by the collisions of giant clusters of galaxies. 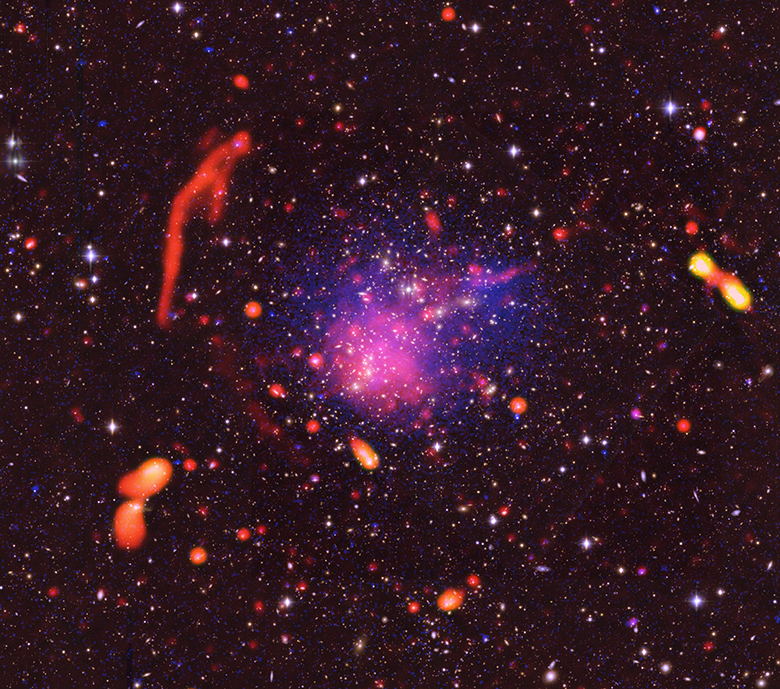 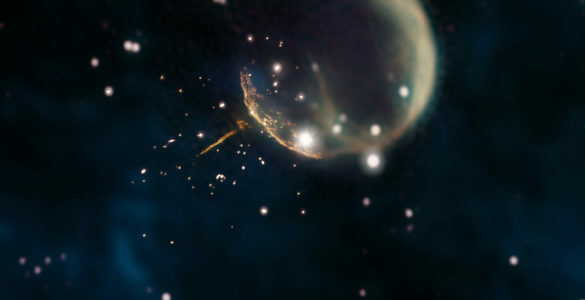 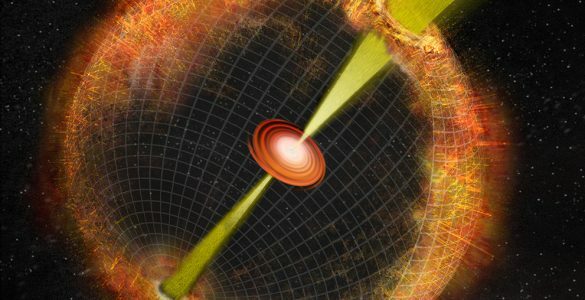 Animated GIF cycles through the individual images (radio, X-ray, optical) of Abell 2744.